Hyundai Extended Warranty or Vehicle Protection Plan - autopom! Is your manufacturer’s original warranty or Hyundai extended warranty expiring? Consider purchasing a Vehicle Protection Plan from autopom! “America’s Best Warranty.” That is what Hyundai touts all over their website, print ads, commercials, etc. ; and their terrific manufacturer’s warranty has actually been a key selling point for some time now. It is true that, as far as original manufacturer warranties go, Hyundai might just have the best warranty. Hyundai’s generous warranty offers a five year, 60,000-mile basic warranty, a 10-year, 100,000-mile powertrain warranty, a seven-year corrosion warranty with an unlimited amount of miles, and a five-year road assistance. On top of all that, Hyundai also offers a lifetime hybrid battery warranty and a seven-year anti-perforation warranty. Only a few brands, like Mitsubishi and Kia, even come close to what Hyundai offers with their warranty. 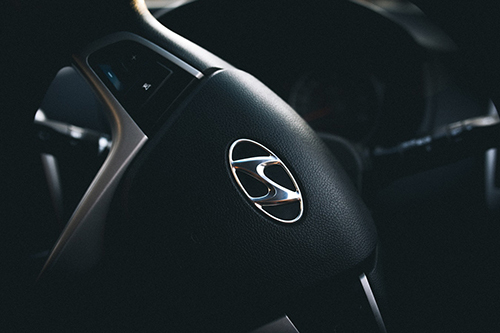 In addition to their warranty, Hyundai has come a long way in the quality and reliability of their cars. They were once known as a discount brand and not necessarily as a reliable brand. Today, however, a Hyundai is generally known for reliable cars and they offer everything from economy vehicles all the way to luxury vehicles. Also, many people find assurance in buying a Hyundai due to their generous manufacturer’s warranty. So if you own or are about to buy a Hyundai, do you really need a Hyundai Extended Warranty or a vehicle protection plan from autopom! The decision is ultimately yours, but you should strongly consider one. There are a few key reasons you should consider extended protection for your Hyundai. First, the Hyundai original manufacturer’s warranty is only transferable in a limited fashion. Per Hyundai’s website: “Second and/or subsequent owners have powertrain components coverage under the 5-Year/60,000-Mile New Vehicle Limited Warranty.” That means that if you are buying/bought a used Hyundai, you only have warranty coverage up to 5 years or 60,000 miles. It also means that if you choose to sell your Hyundai while it is still under the original warranty, that fabulously generous warranty is not a selling point for you. With a Hyundai Extended Warranty or a vehicle protection plan from autopom!, the coverage is transferable to a new owner, giving you a great value-added benefit when you decide to sell your Hyundai. Second, after 5 years or 60,000 miles, the remaining coverage on Hyundai’s original warranty is limited at best, so there can be many repairs that will not be covered. A Hyundai Extended Warranty or a vehicle protection plan from autopom!, on the other hand, can almost certainly give you more complete coverage, along with more peace of mind that an expensive repair bill is not in your future. Finally, the Hyundai original manufacturer’s warranty requires that all repairs be done at the dealership and only includes roadside assistance for five years. Conversely, a Hyundai Extended Warranty or a vehicle protection plan from autopom! will extend your roadside assistance, allow you to repair your Hyundai at the mechanic of your choice and offer a host of other great benefits. Take a look at your options for a Hyundai extended warranty from the dealership or a vehicle protection plan from autopom! for your new or used Hyundai and see everything they have to offer.